We understand the market, we develop technologies. The continuous research and record times in the development of new products, result in innovative solutions with their own technology applied. 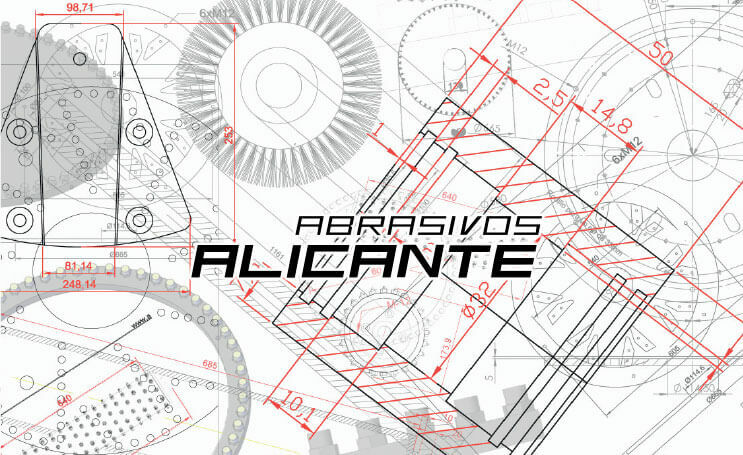 This way, Abrasivos Alicante introduces year after year, products and innovations to the market, with a high added value, responding to the needs of the market. 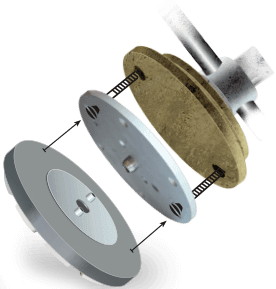 It allows the exact dispersion and positioning of the diamond grits on the outside of a network type support with an open structure. 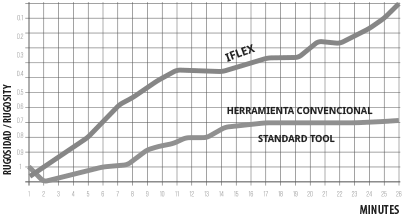 Based on the Fibonacci numerical series, semi-flexible products have been developed, effectively texturing the surfaces. Magnetic fixing system, which guarantees a perfect and fast coupling of the tool to the machine. Possibility of installing this fixing system in CNC machinery as well as in traditional machinery. The PATENTED hydrodynamic form, that reduces water consumption and achieves a higher performance. Flexible technology for an exquisite care of the surfaces to be polished. The construction of the tool combining flexible with rigid parts, guarantees a perfect coupling and a constant contact on the surfaces, avoiding marks and scratches in the polishing. Innovative system of vulcanized by hot pressing used in the manufacture of technical tools. It overcomes the traditional construction system, avoiding defective welds and manufacturing failures. Very effective Innovative cooling system, based on liquid cooling “watercooling”. It keeps the tool refrigerated and in optimal working conditions throughout its useful life. 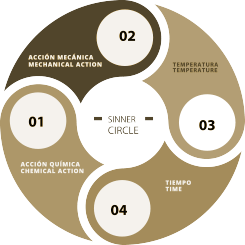 Based on the Theory of Sinner, we understand that the ideal factors to get a good cleaning and treatment, rarely occur. 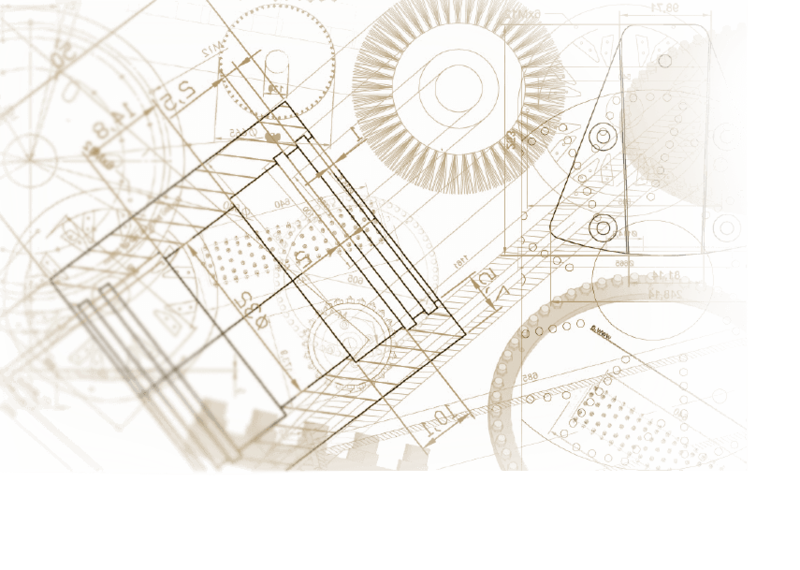 For this reason, our technical team researches and develops products with effective formulations that allow optimizing resources, reducing application times. A controlled and homogeneous dispersion of the diamonds, make this technology the perfect combination to achieve superior diamond abrasives. Multi-Channel system designed exclusively to achieve an excellent cooling. It keeps the tool refrigerated and in optimal working conditions throughout its useful life. Revolutionary diamond formula with absence of pigmented fillers. Eliminates the danger of transferring color to surfaces, achieving a perfect polish on any surface. Technology that combines the 3D CAD design with the construction of the support and the insertion of the filaments in the same order of production, achieving the manufacture of technical brushes with maximum precision and efficiency. Structured abrasives, 100% effective from the beginning. The linear micro-structure defined in the upper part of the product, allows a perfect work from the beginning, without the need to prepare or open the tool previously. Closed mechanical electrostatic dispersion, which improves the positioning of Widia grains, complying with FEPA regulations and achieving tools with very low wearing, with the highest precision. The most delicate surfaces that require the best finish, require very soft abrasive products. RESIN formulations combine an elaborate selection of minerals, bonded with specific synthetic resins, which together with a controlled production process, guarantee the best finish with maximum performance. The geometric structure of the honeycomb is the ideal base to build products with a very resistant structure while being light, providing a perfect cooling during use. The combination of minerals with magnesium oxide, bound by synthetic resins in a consolidated production process, result in very economical and high performance abrasive products that are also stable over time. 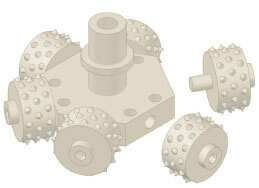 Through the PATENTED circular shape we can build tools with maximum density, on traditional non-circular supports. 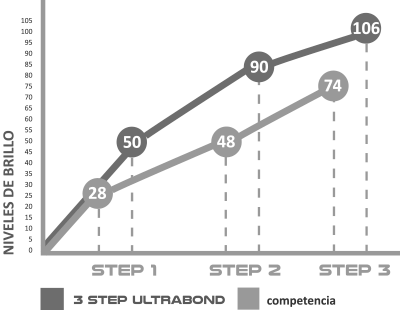 The result is useful for high performance and maximum efficiency. A few small incisions in the supports, ensure a perfect coupling of the tool in its hook. With this technology applied together with a careful selection of raw materials and an elaborate production process, we managed to create an extra-hard glass on the polished surface of Marble or Terrazzo. Increases the hardness of the surface in the Mohs Scale and the scratch resistance. Thanks to the Oval design applied in ADR segments, we get tools with a standard diameter adaptable to all existing machines. We increase exponentially the working capacity, reducing the time and therefore the polishing cost. 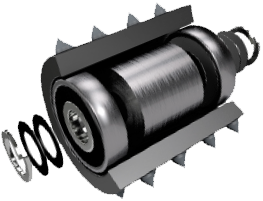 Armored structure that requires no maintenance and ensures perfect operation under any condition and throughout the life of the rollers. 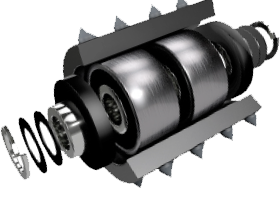 Internal structure with “double shielding”, prepared to withstand the maximum loads ensuring a perfect operation under any condition and throughout the life of the rollers. It does not require maintenance, due to its very robust internal self-lubricated construction and its structural geometry. Revolutionary Axle Kit consisting of one axle and four shock absorbers with variable spring type geometry. Thanks to this system it is possible to efficiently absorb the knocks that the rollers receive during their work.